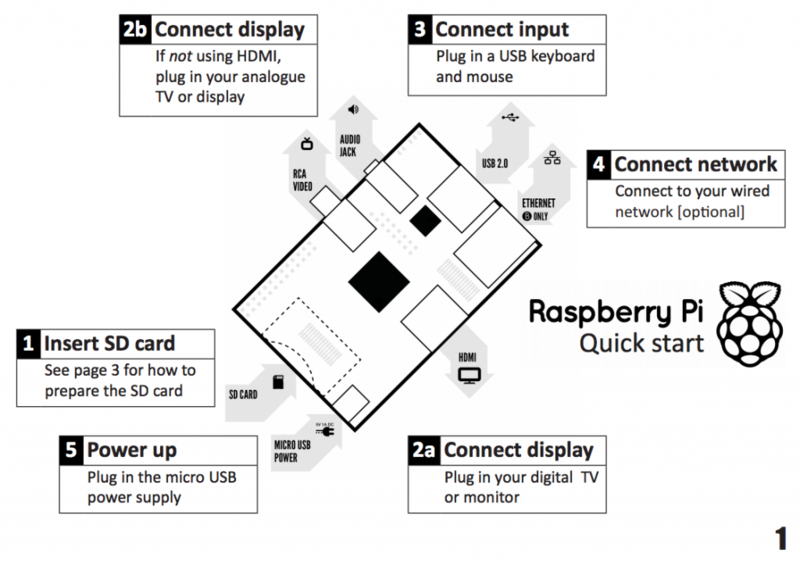 Update: You can find a tutorial on how to use a touch sensor with the Raspberry Pi here. This is also a great example of how to get started with I2C on the Raspberry Pi. We chose the dIMU because it’s easy to access and use, with just four lines to connect (SDA, SCL, GND, and VCC). You may have to make modifications to attach other sensors. We divide this tutorial up into 4 parts. First, we get setup on Raspberry Pi to be able to use I2C commands in Python. Then we show how we connect to the Raspberry Pi. Then we show how we connect the Raspberry Pi to the NXT Bread Board Adapter and connect the sensor to the Raspberry Pi. Finally, we show you the Python code for accessing the I2C Sensor. Run the command “sudo nano /etc/modprobe.d/raspi-blacklist.conf” and add a hash before “blacklist i2c-bcm2708” Save the file. Run the command “sudo nano etc/modules” add “i2c-dev” at the end, save the file. Run the command “sudo apt-get install i2c-tools” (you will need to be connected to the internet for this to work. Run the command “sudo adduser pi i2c” to confugre the last two packages. And you should now be ready to program I2C in Python. You’ll need to solder four jumpers or wires to connect the Raspberry Pi to the breadboard. We used jumper wires we found at Sparkfun that are great for prototyping. We also used a female socket to go over the GPIO pins, so we weren’t soldering directly onto the Raspberry Pi. We’ve got a picture of our soldering work to the right. Below we’ll show a better breakout diagram to get to the I2C lines. Here’s how we’ll be hooking them up to the Raspberry Pi. Below is a diagram of how the four different lines should be attached to the GPIO pins of the Raspberry Pi. Connecting to the breadboard adapter is very easy at this point. Now that you’ve soldered the jumpers to the GPIO on the Raspberry Pi, the NXT Breadboard Adapter makes this really easy. Below is a breakout diagram of the NXT Breadboard Adapter as a Sensor. Connect SCL on the Raspberry Pi to SCL on the NXT Adapter, SDA on the Raspberry Pi to SDA on the NXT, GND to GND and VCC to VCC. Finally, the good stuff: getting Python to read data from the sensor. Below is the code for doing reading the LEGO MINDSTORMS sensors over the I2C Line. We used Python 2.7, but this should work in any later version (if it doesn’t please let us know!). The smbus import is really well documented on the web. Doing a quick Google search yields a magnificent amount of information. # License – Attribute; if you use part of this code, please let us know! # We hope it’s useful to you! gyro_divisor = 0.0000 # Constant to divide your gyroscope raw return by. accel_divisor = 0.0000 # Constant to divide accel raw returns by. # incoming “range” can be 2, 4, or 8. Default is 8 if it’s not 2 or 4. So if you’ve read this far, you are really interested in Raspberry Pi and the LEGO MINDSTORMS. Drop us a line and let us know what you’d like to see next! If you liked this tutorial, consider purchasing the Breadboard Adapter for LEGO Mindstorms here.